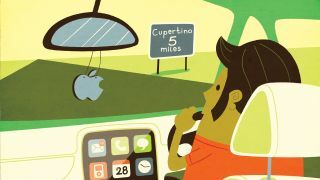 Is the Apple iCar real? It's now a fairly safe bet that Apple is working on something to do with cars, even if the Cupertino company hasn't said so, and there are new reports this weekend that it's "rethinking [its] strategy" on the motoring project. The New York Times says parts of the operation have been shut down and a few dozen employees have been laid off, according to people in the know. Apparently Apple is scrapping plans to build an entire automobile and focusing instead on self-driving technology it can licence to others. That counts as a "reboot" in the words of the NYT's sources, though as usual Apple is staying tight-lipped on the matter. The report also says several vehicles are currently being tested, presumably one of which is in rose gold. Apple's rivals already have something of a head start in the self-driving car market: Google has been working on cars that can pilot themselves for years, while taxi app firm Uber is already testing out the idea of cabs that can pick you up without a human being. Even the traditional car companies have realised we're all going to be transported by autonomous machines in the not-too-distant future, and pretty much all of them are now looking at getting their own self-driving tech sorted. We'll have many years of testing and law-making to go through before you can actually go out and buy yourself a fully self-driving car, though autonomous features are already starting to appear in current models. We'll have to wait and see whether Apple's reboot is enough to help it catch up.